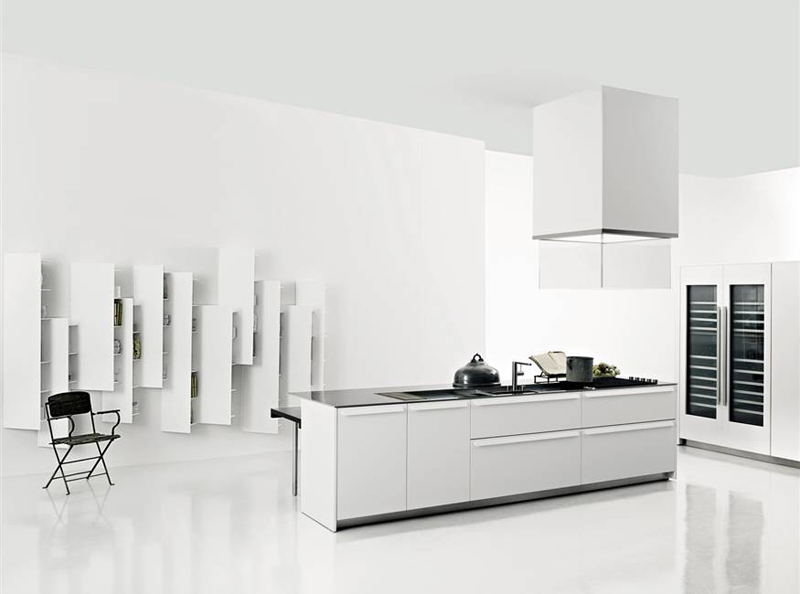 In my mind, the most innovative space in the house should be the kitchen (bathrooms are a close second). 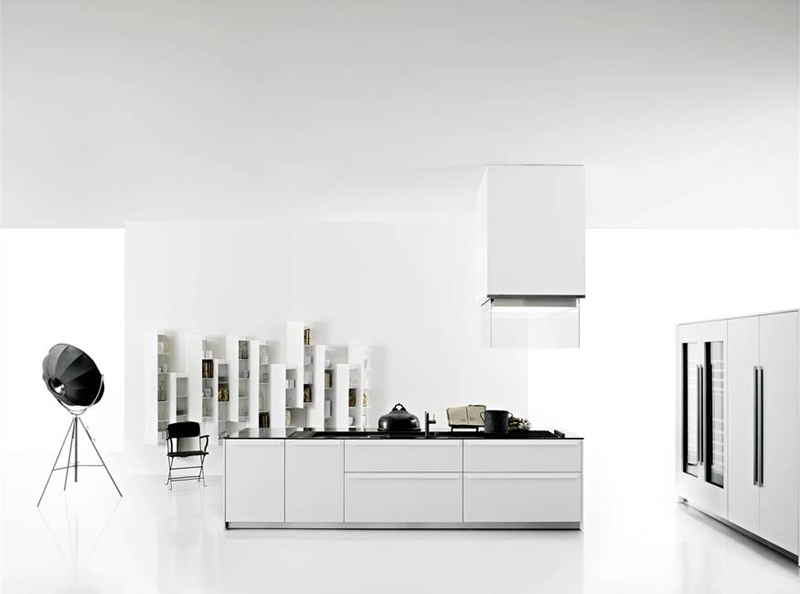 Simple, spacey kitchens with sleek industrial finishes like this one from Boffi are irresistible. I love the shelving! Great inspiration!